Many online businesses rely on newsletters to keep their clients informed. These help keep your brand top of mind for consumers, help you build a rapport with customers, and establish yourself as an authority in your chosen space. They also allow you to let people know about new products that may interest them. It’s important to remember that newsletters are just like any other marketing initiative. They need to have a measurable impact on your business and there are a number of ways to determine this. You can measure the increase in recipients through how many subscribers you have, how many people read the newsletter by measuring the open rate, and you can determine how many people actually go through with the desired action by checking the click-through rate. Of course, there are many other metrics that can help you judge how successful a newsletter campaign is, but the first step is actually getting the newsletter sent out. There are many tools that help you achieve this goal. Now, given the pervasiveness of Shopify, we’re going to take a look at the tools that best integrate with the eCommerce giant. 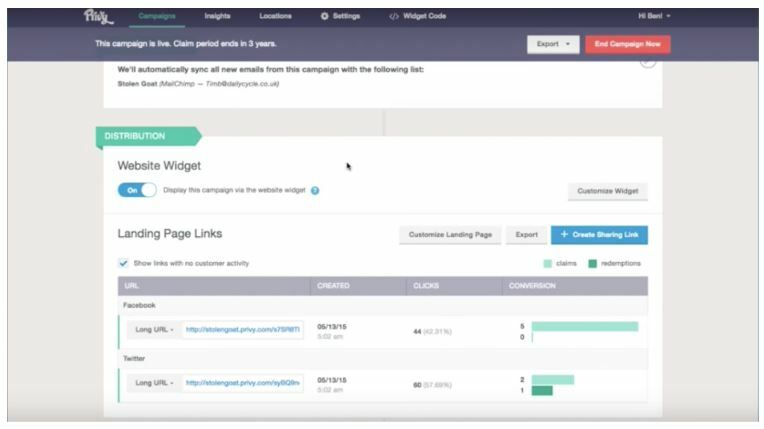 Omnisend: Email Marketing positions itself as an all-in-one email marketing solution for Shopify. As such, it offers the ability to set up welcome emails, cart recovery, as well as campain booster features. However, one of the most prominent features – and the one we’re most interested in today – is the app’s ability to create a newsletter. Omnisend’s app is reliably fast at this process, thanks to the ability to browse from the app, select the products you want to promote, and it will automatically include the rest of the details in the newsletter. 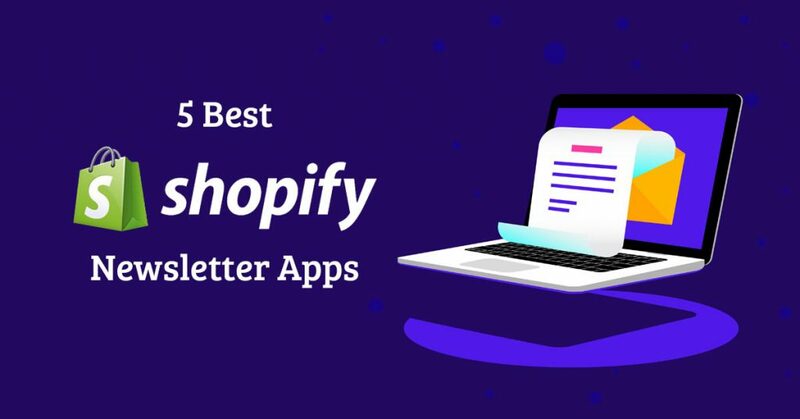 Given that the app allows for 15,000 free emails each month, alongside its easy to use interface, make it one of the best newsletter options out there for Shopify. Mailchimp is, of course, one of the standout classics. The company still offers free use of its email marketing service for up to 2,000 subscribers. You can also send 12,000 emails per month. From there, the company’s prices start at $10 per month and $199 per month, respectively. Though you’ll likely pay more to be able to handle additional subscribers. If a monthly plan doesn’t make sense for you, you can also sign up for Mailchimp’s pay-as-you-go plan, buying email credits and sending out campaigns as you see fit. While the company’s Pro Marketer plan is one of the most expensive tools on the market, its New Business plan is also one of the most generous. This helps Mailchimp remain a contender in the competition between newsletter apps. Klaviyo’s free option is only good if you have 250 subscribers or less. With that option you can also send up to 500 emails, but they will include Klaviyo branding and a double opt-in requirement. Essentially, the free option is to test out whether you like the product or not. The next level up will cost you $50 each month and give you 2,500 subscribers. Prices rise with subscription numbers from there. This does make Klaviyo a better option for mid-level companies. Klaviyo makes up a lot of ground with its features. It’s segmentation feature is a powerful tool to help you more precisely target the right audience and its advanced analytics will help you refine your campaigns over time. 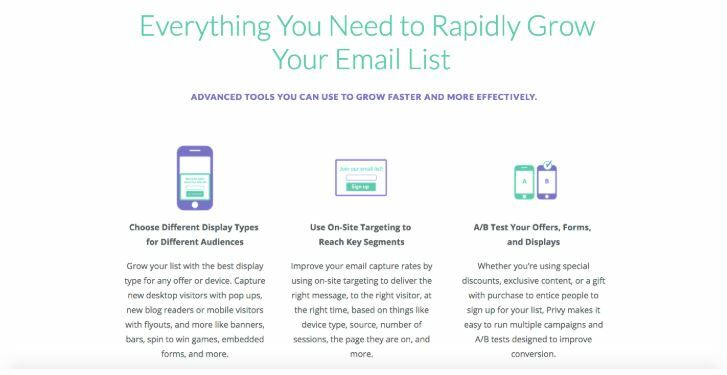 In addition to Privy’s stated goal of helping you grow your email list, this tool also helps reduce cart abandonment rates and drive repeat business and sales. This app is aimed at small and medium-sized businesses. It will help you capture email addresses by building exit pop-ups, scroll boxes, embed forms, welcome series, abandon cart emails, and autoresponders. Then, using Privy’s Always Free plan, you can send up to 3,000 emails each month while enjoying some of its basic features. The first paid tier will cost you $24 per month. 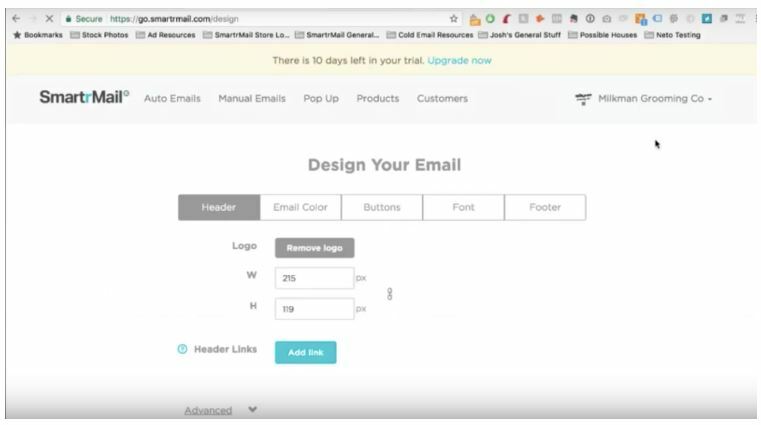 One of SmartrMail’s key features is an automated tool that is designed to create repeat business at your Shopify store. The feature produces product recommendations for customers based on past purchases. 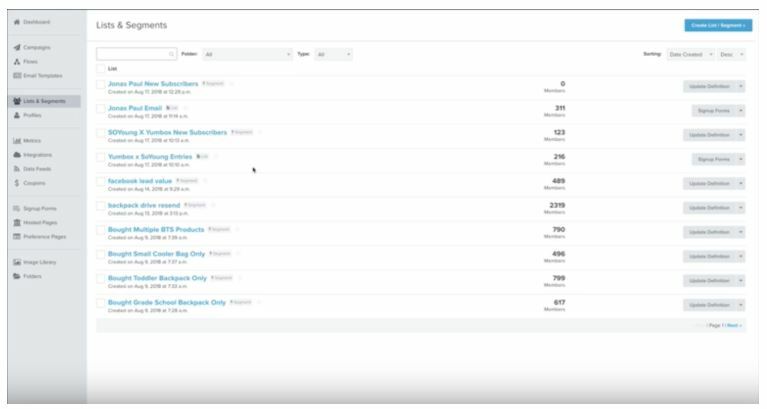 After a customer makes a purchase, SmartrMail will look through your inventory, find similar products, and send an email recommendation to the customer. Given that it’s a completely automated process, this makes for an excellent addition to any email newsletter campaign. But let’s look at why we’re all here: SmartrMail’s newsletter functionality. Given the fact that SmartrMail integrates with your online store, the process of drafting a new email is streamlined. You don’t have to worry with resizing images or copy and pasting products. You just select the product you want to insert and the image, description, link, and price are all automatically placed into the body of the letter. SmartrMail falls a little short is in its pricing given that the service doesn’t offer a similar free version of its product as its competitors. The point is, while SmartrMail may not offer a similar free version as many of its competitors, its tiered pricing plans are very competitive. Newsletters have existed as marketing tools since the days before the internet. And there’s a reason for that: they work. The tools and services may have evolved with the times but at their core, newsletters offer a unique way to engage with your customers and create a rapport that will drive repeat business and increase sales. These days, there are many tools out there to help you build and grow your mailing list, send out emails, and target your messaging to specific customers and client types. Play around with the different options and see which one works best for you. But whatever you do, don’t overlook the newsletter as a marketing tool.